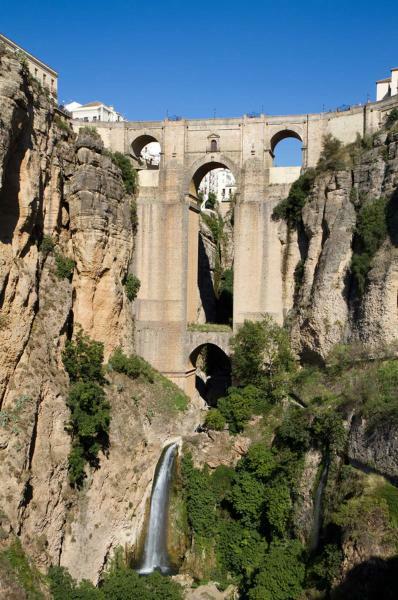 Travel from Barcelona to Madrid the long way around, through Toledo, Valencia, and Andalusia. Think coastal bliss, fairytale towns, grand monuments, and all those stories from yesteryear. 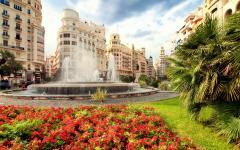 This is the grand 14-day Spain tour, encompassing many of the world-famous highlights and some hidden little gems. 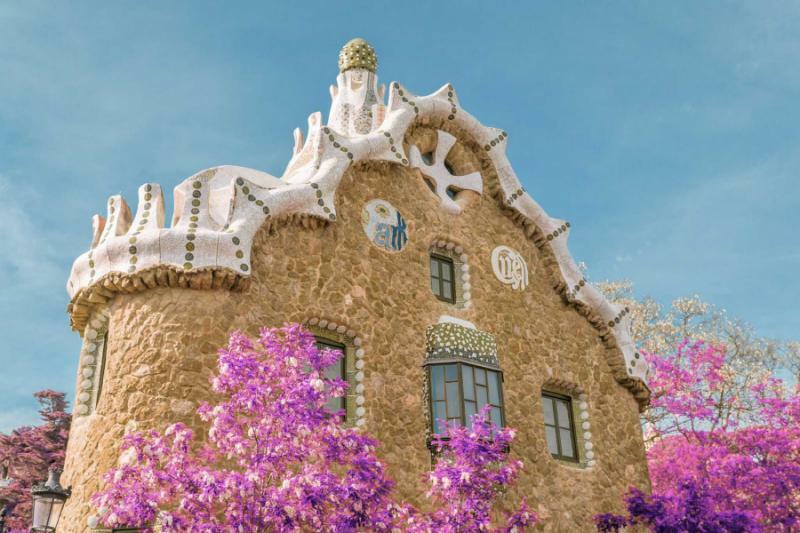 Handcrafted for first-time visitors the tour has everything from El Greco to Gaudi, palaces to villages, flamenco, and tapas to historical art, markets and monuments. Enjoy a Spanish vacation in style by seeing the other Spain vacation packages we offer on Zicasso. 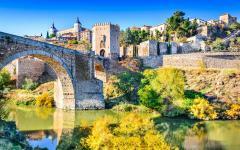 Spain has so much to offer any traveler, and this grand 14-day tour explores the contrasts and cultures for the complete variety of Spanish highlights. 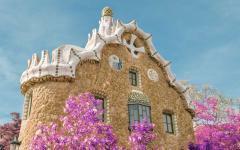 Take in authentic flamenco in Seville, Gaudi’s architecture in Barcelona and all of the art of Madrid. 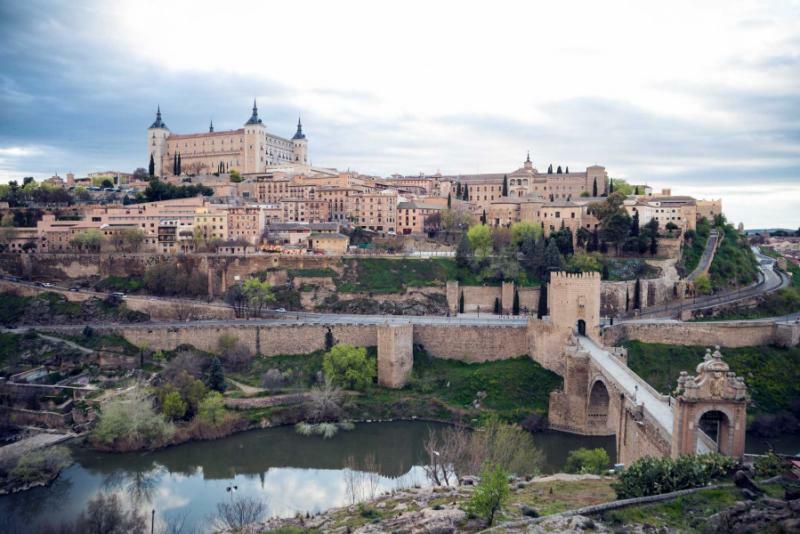 You will explore the glorious monuments like the Alhambra, the Mezquita, and El Escorial. 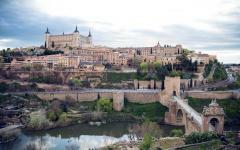 You will immerse yourself in medieval towns like Toledo and the whitewashed villages of Andalusia. 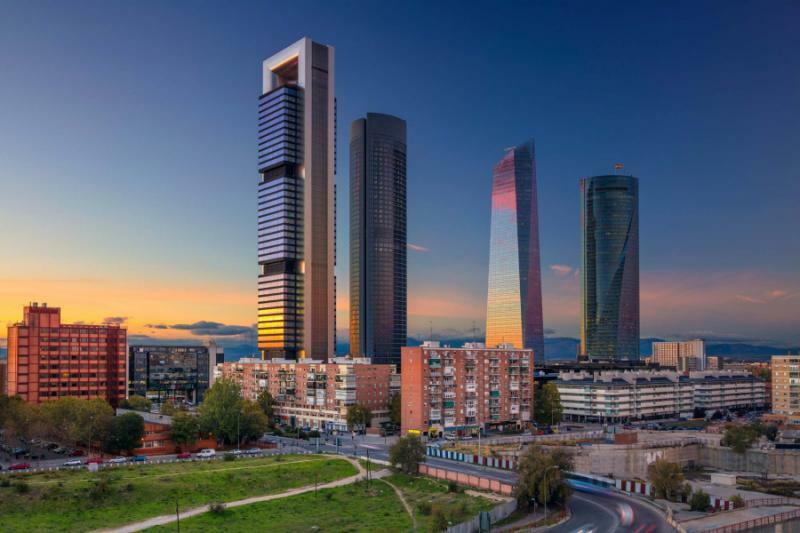 There will be city life with a chance to compare Barcelona and Madrid with less popularized Valencia. One day you will be in a Roman amphitheater, and not much later you will be following the El Greco trail. 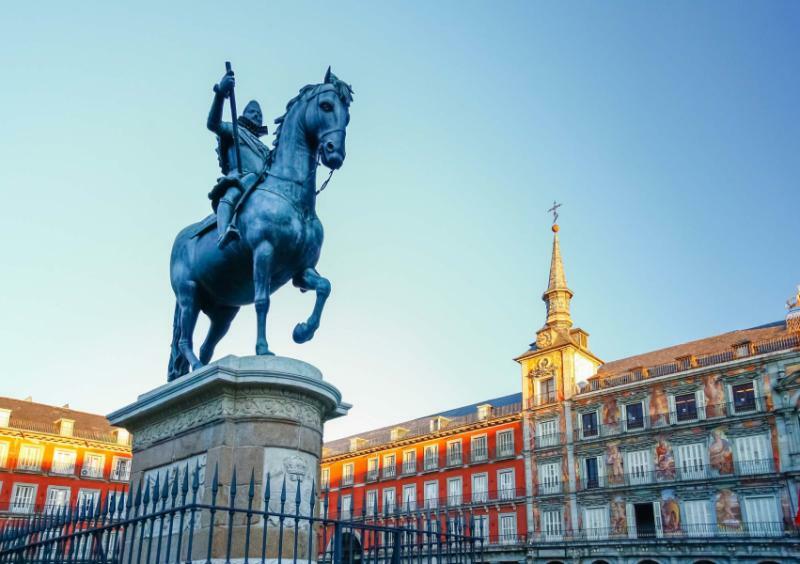 One evening involves authentic tapas hopping while another revolves around a 17th-century plaza mayor, or main square. You will begin in Barcelona and end in Madrid, but you will travel the long way around. Most journeys are by high-speed train, convenient connections taking you from city center to city center. However, when exploring Andalusia, you will have privately-guided transfers with stops at interesting rural sites on route. Two weeks is never enough to see all of Spain, as this is where you find many countries within one country, the cultural contrasts between regions a big part of the experience. 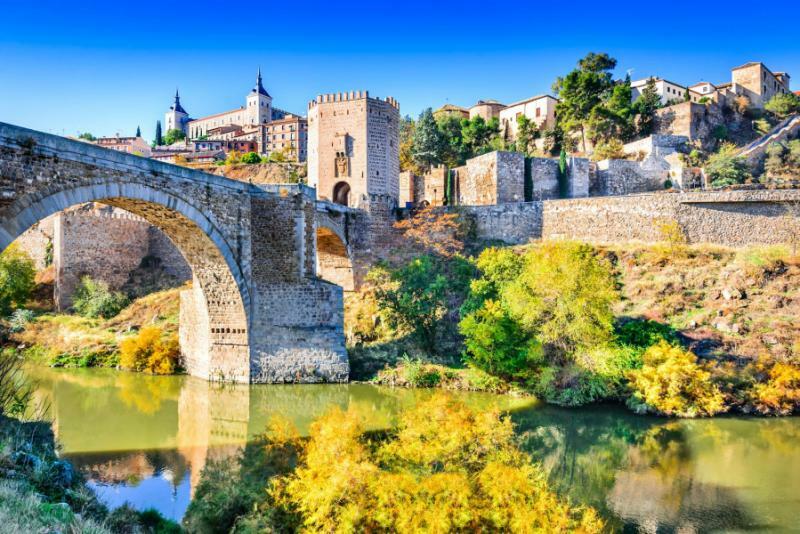 However, Spain’s excellent transport connections make it very possible to cover a large amount of ground in 14 days, while still keeping to the laid-back Spanish rhythm. Two days in Barcelona mean plenty of Gaudi and Montaner, plus some jaunts to the beach and hours spent strolling through the old Gothic quarter. Taking the train to Valencia, you will jump out in Tarragona, where an enormous Roman amphitheater is perched on the coast. Valencia is Spain’s surprising highlight, and food is a good lens from which to explore, especially when you dive into Mercado Central or learn why paella originated here. Cross arid central Spain on the train to Toledo, the most complete of all of Europe’s medieval cities. It’s a place of cobbles and charm, frozen in the time of El Greco and Velazquez. One day can cover the highlights, but two days gives you time to see why Toledo is so special. Journey south by road from here with a guided transfer and two nights in Granada, an old city that looks and feels like a scene from a fairytale. Hit the tapas bars with a guide before dedicating a day to the Alhambra and its surrounding Moorish architecture. 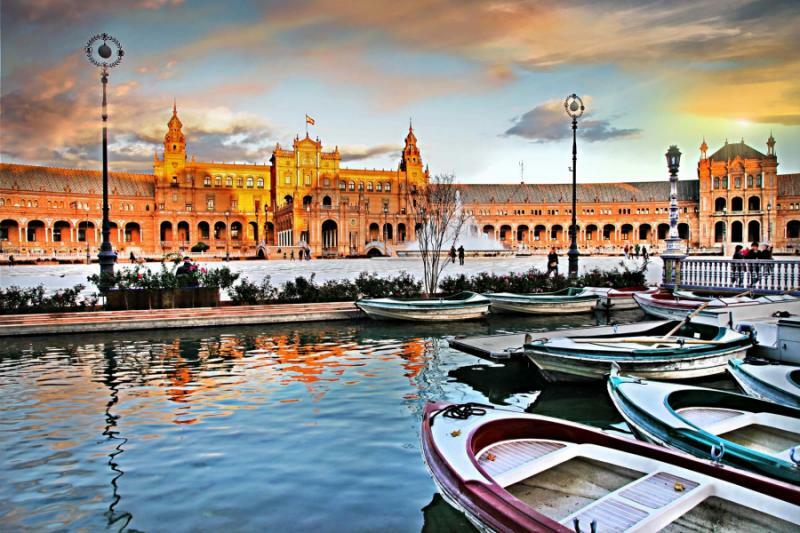 Onwards you will go on day nine, stopping in the pueblos blancos, the white villages, on route to two nights in Seville, a lively city of flamenco and conquistador fame. 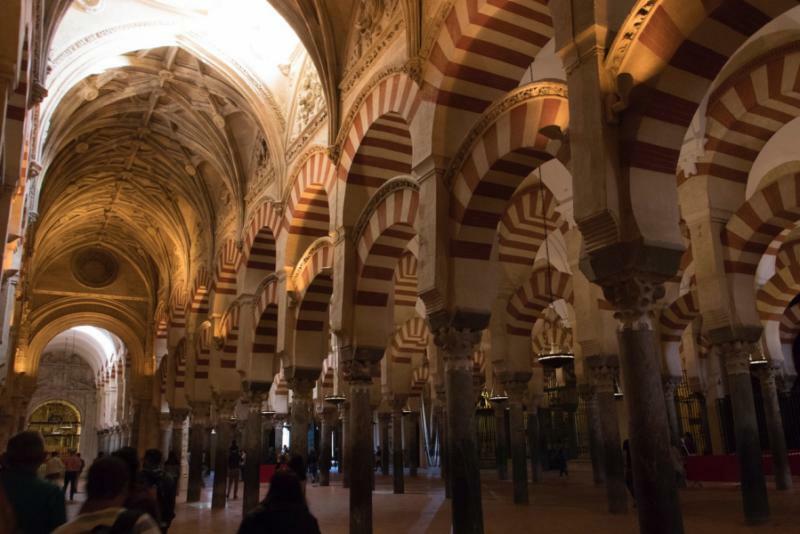 Then back on the train, you will make a stop to see the Mezquita in Cordoba, before finishing with three nights in Madrid. You will then have a day to focus on art, half a day at El Escorial, and lots of time to discover Europe’s most local and authentic capital. Consider learning more about our travelers’ favorite Spain travel activities by reading their Spain travel reviews. Touch down in Barcelona, and so many highlights await. After a guided airport transfer to your hotel, the day is left free. Wander eastwards and the narrow lanes of Barri Gotic open out onto the harbor then golden Mediterranean beaches. Walk with the water on your left and you rise to Montjuic, where a castle and palace stand above the city. While Barcelona is famously Catalan, it has the lively easy-going style that’s typical of Spain. So head out and make your own first impressions. Rough-hewn white stone marks the facade of Casa Mila as curves undulate around Casa Batllo. Ghouls and twisted columns greet you at La Sagrada Familia, and then find a mosaic of a serpent at Park Guell. 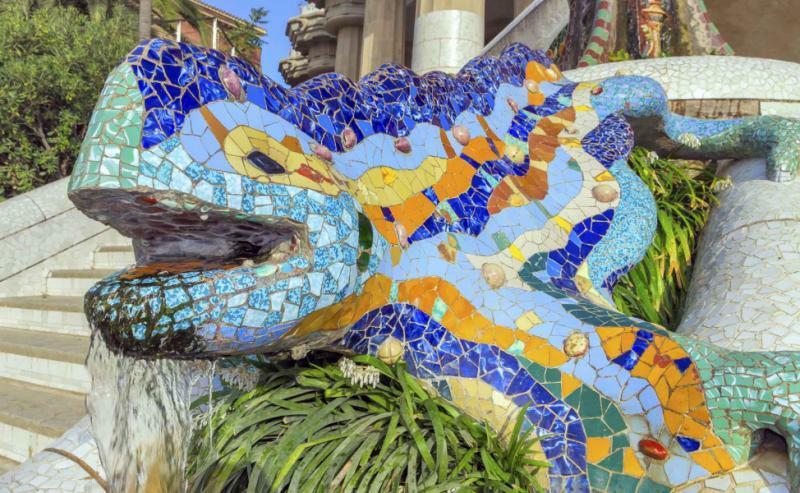 These four Gaudi masterpieces take you on a journey through Barcelona’s neighborhoods, from his early residential work to the cathedral that’s still unfinished. But while these highlights are widely considered unmissable, it’s Palau de la Musica Catalana that most enchants, the music hall designed by the first real Catalan Modernist – Montaner. Of course, there’s more to Barcelona than the Modernist architecture. The guide explains potential options for the evening, along with places for truly authentic Catalan cuisine. Tarragona’s Roman amphitheater is perched on the Mediterranean. The rocks are sun-scorched and crumbling, showing their 2,000 years of history with pride. From the top, you can hear the soft rumble of waves while down below you can imagine a time when gladiators once battled. Tarragona is on the train route south, and you can hop out to see the amphitheater and have lunch. Snooze through the afternoon journey into Valencia before checking into Spain’s greenest city. 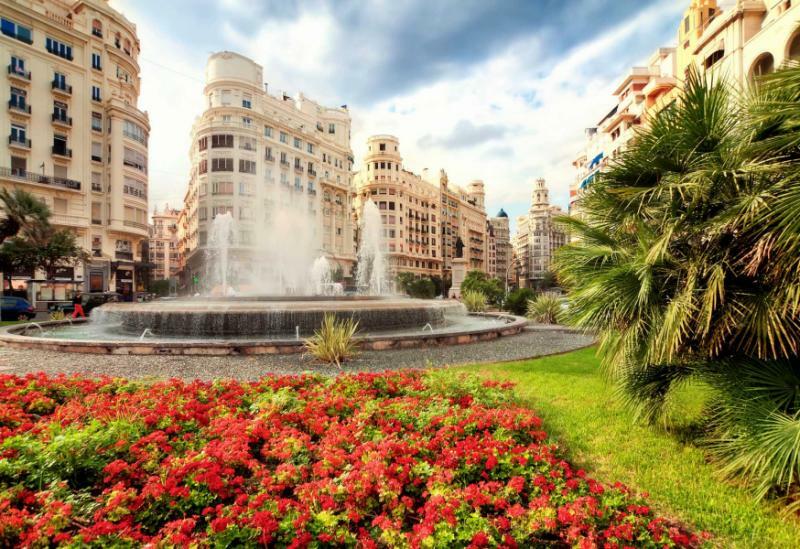 While it is nowhere near as popular as Barcelona, Valencia has a dreamy mix of gardens, markets, beaches, and a living history that sees Islamic and Christian architecture line old cobblestone streets. The guide provides an orientation, and you will soon wonder why Valencia manages to stay off the main tourist trail. Food is a wonderful way to explore this vast city and your tour begins in Mercado Central, Europe’s longest continually running market. Floral scents lead you to stalls laden with fruit while sections of butchers, bakers, and fishmongers produce their own scent. Some stalls are not big enough, with all of the goods spilling out into corridors. Others are packed with delicate treats that you probably cannot find outside Valencia. Your guide helps you to pick up a picnic, and you can go eat in one of the gardens, a great place to see how local Valencia ticks. For the rest of the afternoon, you can explore the city’s major historical sights before resting your legs on an outdoor terrace. Paella is served, the seafood specialty that originates here. Soon it will be sunset, and you will wonder how these leisurely days are slipping by so quickly. 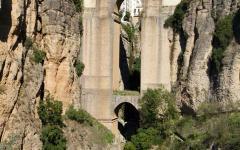 Crossing Spain you can gaze out on arid pastures, the landscape studded with small sandstone towns and church spires. The train ascends, and then cannot go any further. Now you must walk up the hill, the guide helping you navigate narrow streets that seem frozen in a medieval town. Drop your bags at the hotel and take a tour of the major highlights, rising all the way up to the 15 chapels of Toledo Cathedral. As dusk arrives most people leave, heading back to Madrid after a day trip. Toledo is even more beautiful at this time, rooftops and facades shimmering a golden color, churches ringing out the passing of hours. There are many plazas to enjoy at this time of day, each with their own selection of restaurants. Wake up late, as is the Spanish way. Take a short walk around your hotel, enjoying the tranquility of morning. Throughout this tour, there is an almost baffling array of highlights, yet often it can be the quiet moments that you remember most. Today the guide takes you in the footsteps of El Greco and Velazquez, showing you sublime art that hides in the Toledo churches. Murals cover altars and messages are painted onto the stone, each as mysterious as the last. Also today, you can dedicate time to the Synagogue of El Transito, a fine building that is overflowing with art that has also been a Catholic cathedral in its time. Then it will be back to the plazas and terraces this evening, enjoying an atmosphere as medieval as the setting. Today’s journey to Granada is the longest of the 14-day tour. It will mostly be an empty road as you cut south through Don Quixote country before rising into the Andalusian mountains. Granada is found at the end of the road, perched on a mountaintop as if it is the setting for a fairytale. 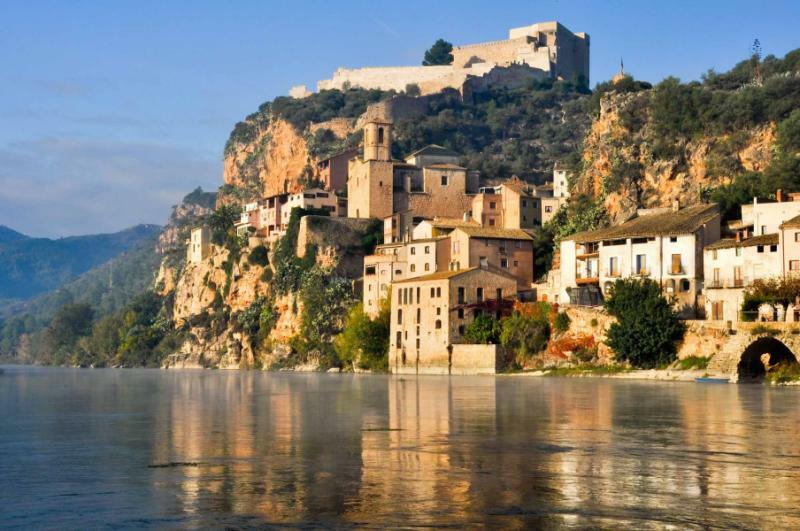 This is the most dreamy of the Spanish destinations and tapas is a great way to start exploring. Tapas remains true to its roots here, a plate of food that accompanies a drink. Your guide knows all the best local spots, and you can hop between them, checking out the variety of small bites and joining in what Granada’s residents do almost every single night. Intricate messages are etched onto archways, the script both mysterious and foreign. Fountains trickle softly in gardens, against mosaics of tiles. Domes are symmetrical yet baffling, so many tightly packed patterns onto one roof. You are in the Alhambra, the ethereal ode to the Moors, a building so complex and complete it cannot be compared to any other. Entrance tickets are limited which helps add to the appeal, especially when you walk into sections or gardens with nobody else around. 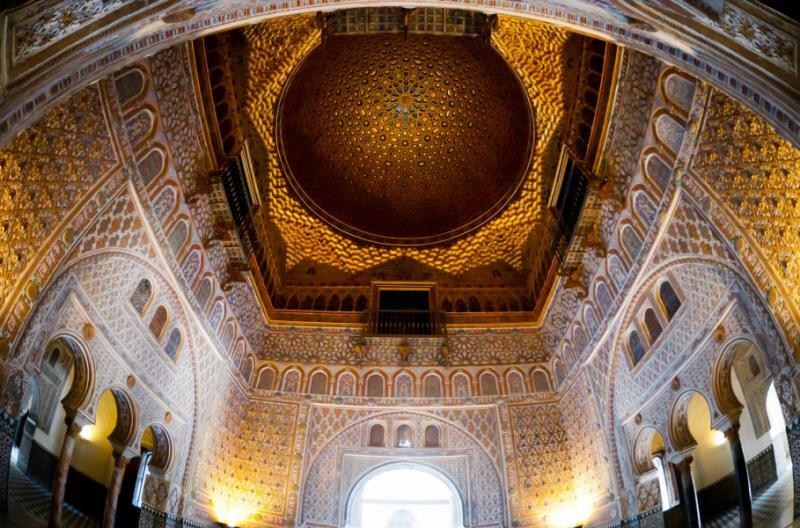 Go early and spend the whole morning in this old Moorish centerpiece, before seeking out a variety of Granada’s other highlights. Mirador de San Nicolas is a good place to be at sunset, a cup of mint tea in hand as the sun sets over Andalusia. And after dark? It has to be tapas bars when you’re in Granada. Driving eastwards, your guide will lead you between pueblos blancos, the white villages that have been around since the time of the Moors. These mountaintop hideouts provided sanctuary and safety from raiders, pirates and the Spanish Inquisition. Now they feel lost to a distant time as the church bells still chime, the whitewashed facades have been repainted, but there aren’t many people around. Two of the pueblos blancos you visit are like this, museum-like destinations, practically ghost towns. The other is Ronda, the white village that became an important Spanish town. Perched dramatically over a narrow valley it’s memorable for its location and atmosphere, along with Spain’s oldest bullring. With all the stops it will be late when you reach Seville. Check into your hotel, and there are many dining options nearby. 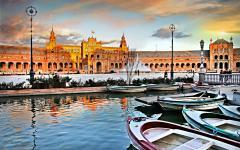 Seville has dazzling treasures as gold covers the inside of churches, and silver forms statues. Extravagance finds its way onto most corners and everything you discover has a story. This city grew rich thanks to the conquistadors, and it is these explorers that form the focal point of your private old city tour. It will take most of the day to get around Seville as it has the largest of all Europe’s old city quarters, along with the biggest Christian cathedral outside the Vatican. Tonight you can rest your legs a bit and sit down to dinner and listen to what comes from the stage. Songs of love and loss accompany the guitar, and you do not need to know Spanish. You can feel what it means as such passion and elegance in the voice that soars. Soon a dancer twirls along with the handclaps, the music reaching a crescendo while keeping its melancholy tone. Dinner comes with the show and what you are experiencing is not for tourists. Flamenco started from the Seville neighborhood of Triana, and that’s where you spend the evening, in one of the most famous and intimate flamenco clubs. 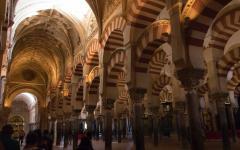 Madrid is your last stop, but Cordoba is on the high-speed train line north to the capital. Disembark, and your guide will help to store your luggage at the station. 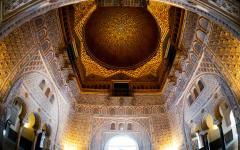 You will have the full day in this old city, starting with the Mezquita, a complex work of art and architecture that is up there with the Alhambra. Like Granada, Cordoba was a Moorish capital. However, while Granada remains lost in its fairytale, Cordoba is now a gritty, enthusiastic city, one still being shaped by the East. Graffiti meets with a more ornate artisanal flair as minarets climb alongside church towers. Everything is jumbled, the old and the new, Islam and Christianity. And this is why Cordoba is such a fascinating place to spend the day. Later on, it is two hours by train to Madrid and a hotel near the Plaza Mayor, the capital city’s showpiece center. Madrid’s art scene can rival that of any city as a trilogy of museums leads your journey from 900 AD to tomorrow. How many you visit is up to you, and your guide will meet you for coffee this morning and explains the three different museums. You can get a glimpse of all three in one day, or decide to focus more on one or two. The Prado is old art, the greatest collection of Spanish and Flemish painting there is, so if you want to experience the old masters, it’s unmissable. Thyssen-Bornemisza was a private collection, a mishmash of styles from around the world, and if you are not that interested in art, this gallery is most memorable. You could also step into the Reina Sofia, which takes art from 1900 to today including Dali and Picasso and surreal works. El Escorial is as hypnotically beautiful as the Alhambra. Some sections are silent, proving the building’s place as a monastery, but some are stuffed with extravagance art and fittings. Corridors drip with gold, and it is almost too over the top to contemplate, and you must remind yourself that this is a monastery. Built during the Golden Age, when Christianity was used to cement power, El Escorial is the ultimate monument to the time when a unified Spain became the world’s superpower. Visit it on a half-day trip, and then spend more time getting to know the capital city. It is local and authentic here, full of charming little streets and squares. When evening comes, you can join local families on their paseos, or walks, heading to an outdoor terrace for a final Spanish dinner. After 14 days in Spain you will depart, but not before a leisurely breakfast and some time to walk the central streets. For a final indulgent treat there will be a 100-year-old chocolatier that does the original hot chocolate and churros combo, and it is within a five-minute walk of your hotel. "Our travel agency listened carefully to our requests and arranged everything we wanted."